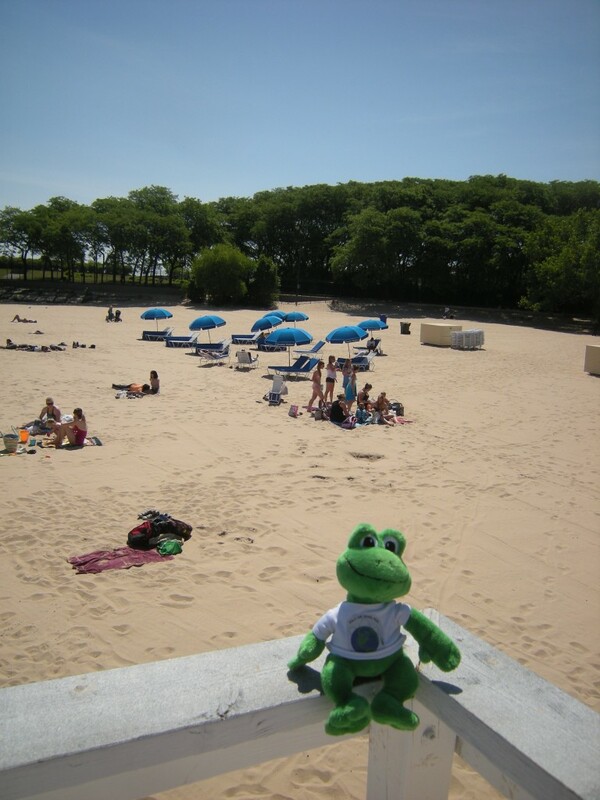 Imagine my surprise when I found this beautiful beach in Chicago! 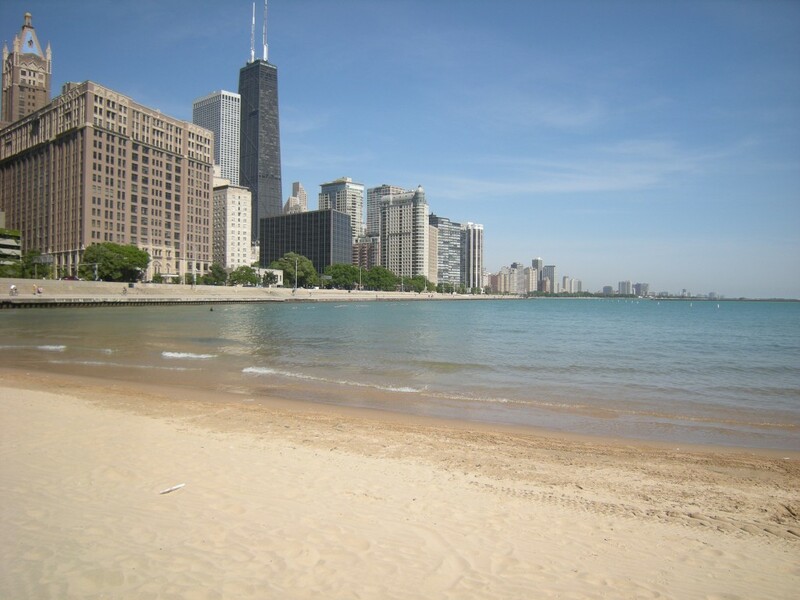 Who would have ever thought that you could find a beautiful, white sand beach in the city of Chicago? 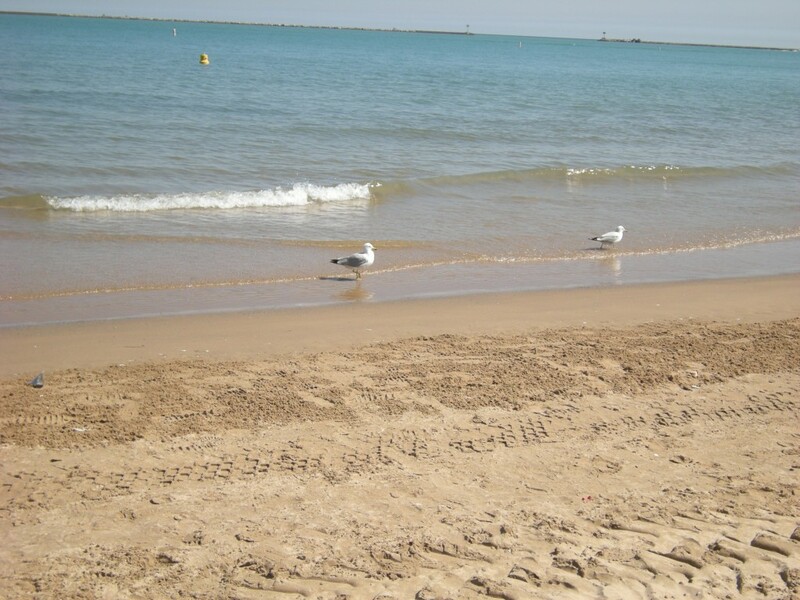 I was amazed to come across this beach, and was fortunate enough to be there on a warm sunny day. 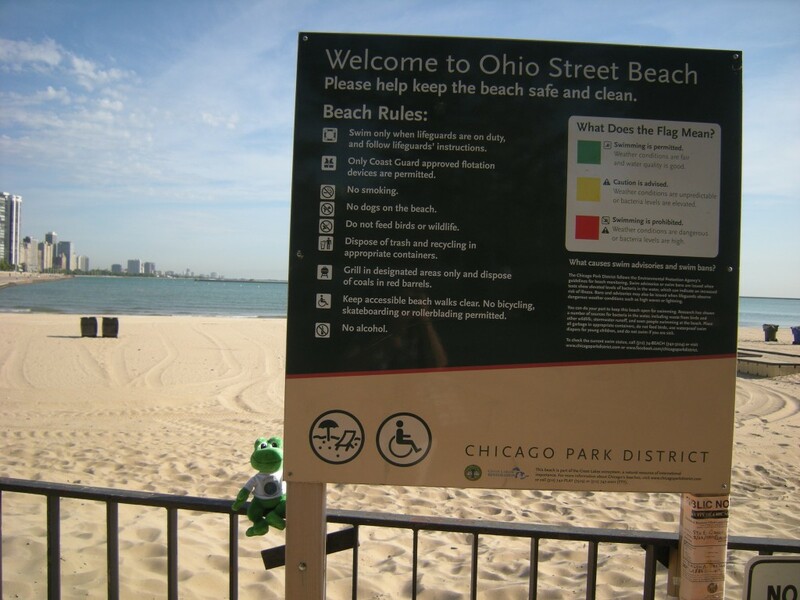 There are several other beaches along the shore of the lake, and the next time I visit Chicago, I’d like to explore the other beaches as well. Do you think they know that I'm watching them? I climbed all the way to the top of the lifeguard tower, and the view was even better! 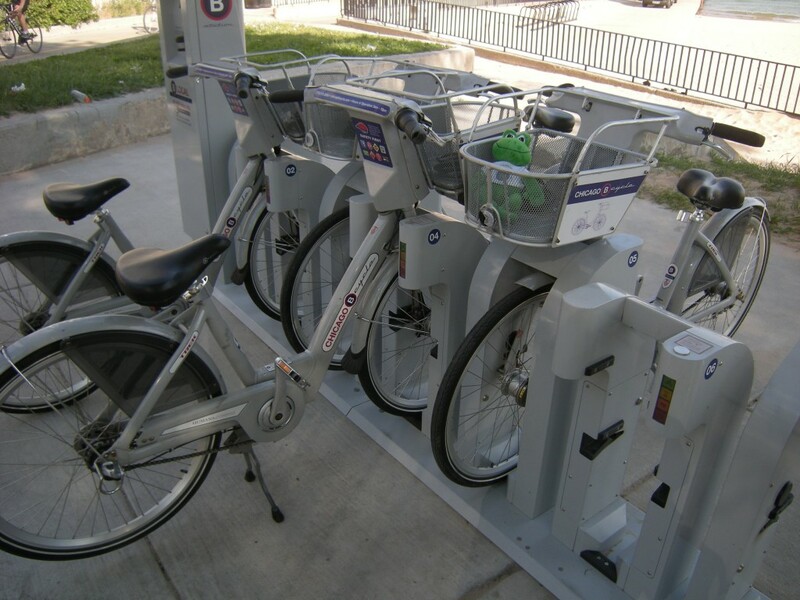 I really wanted to rent a bike and ride along the shore. Unfortunately my legs were too short! 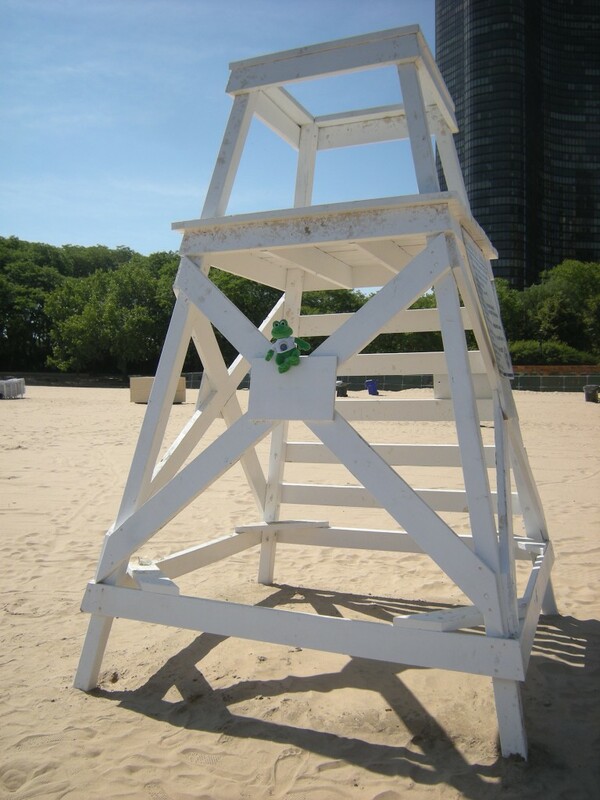 Polly in that picture it looks like you are a lifeguard. Did you have fun sitting up there?